Evan enjoys working with professionals, entrepreneurs and business owners to aid them in identifying their goals and putting a strategy in place to help accumulate and protect their wealth. He understands that each person’s situation is unique and deserves a custom designed strategy to fit their needs. With a strong support team and his skill set of tax strategies, solo 401k plans and defined benefits plans, Evan is able to provide the right mix of investment and insurance products to help each client achieve their financial goals. 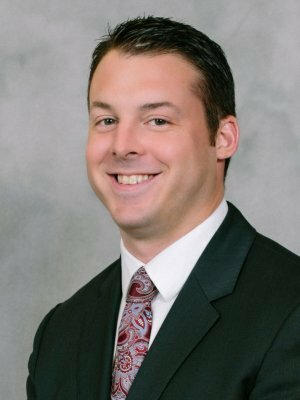 In 2017, Evan was promoted to the role of Director of Advisor Development in the St. Louis office. In this role he mentors new advisors coming into the industry and helps them develop necessary skills for a successful career as a financial advisor. Evan is passionate about his career and is dedicated to his client base. In 2012 and 2013 he was recognized with the Excellence in Performance* award and has qualified for membership within MDRT since that same year. While attending the University of Missouri-Columbia (Mizzou), Evan earned a degree in Personal Financial Management Services. He then went on to attain his Life Accident and Health Insurance Agent Licenses, as well as FINRA Series 7 and 66 registrations for California, Colorado, Idaho, Illinois, Florida, Kansas, Kentucky, Missouri, Louisiana, Oregon, Texas, Utah, Virginia and Wisconsin. During his spare time Evan supports a variety of local organizations and enjoys cheering on the Mizzou Tigers, St. Louis Cardinals, and the St. Louis Blues. He grew up in St. Louis and resides in Webster Groves with his wife, Katie, their son, Ronan, and their rescue-dog, Daisy.